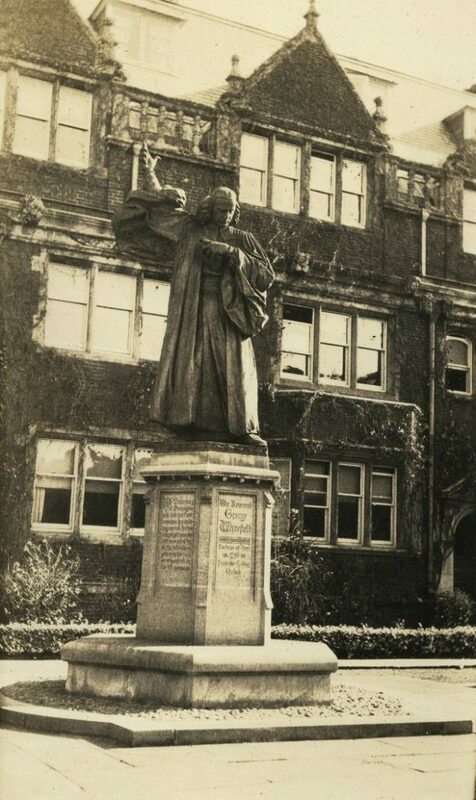 The Whitefield statue is located in the Dormitory Quadrangle, standing in front of the Morris and Bodine sections of the present Ware College House. This bronze statue, created by R. Tait McKenzie, was unveiled in 1919. George Whitefield (1714-1770), an 18th century Anglican minister, was widely known in Britain and in the American colonies for his role in the spread of the Great Awakening evangelical movement. Educated at Oxford and friends with John and Charles Wesley, Whitefield first came to North America as a parish priest in Savannah, Georgia, in 1738. He returned to England for ordination the following year. Then, in 1740 he made his second trip to the North American colonies where he travelled throughout the colonies, preaching to large crowds, with crowds sometimes numbering in the thousands. These revival meetings, largely held outdoors, became known as the Great Awakening of 1740. In Philadelphia, supporters built a meeting house at Fourth and Arch streets to serve as a charity school and a meeting place for Whitefield’s revivals. Benjamin Franklin attended some of Whitfield’s outdoor revivals in Philadelphia and was impressed by Whitefield’s intellectual abilities. Franklin published some of Whitefield’s writings and became a lifelong friend of Whitefield. 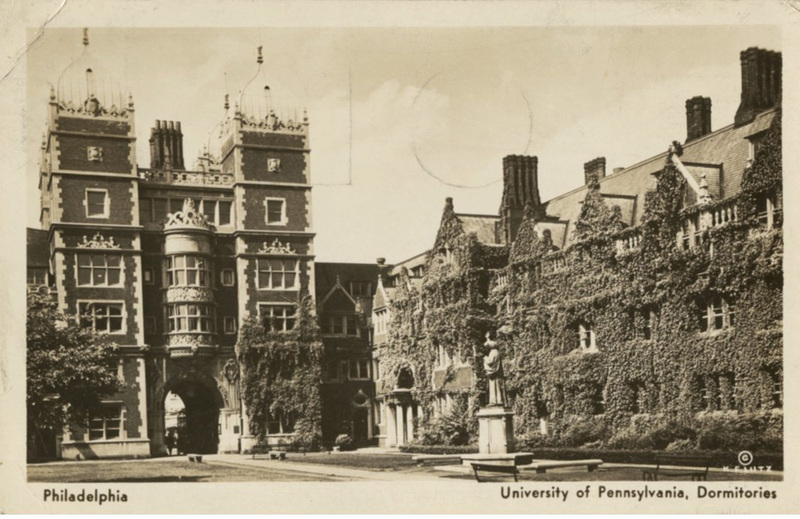 And in 1749, Franklin chose the Whitefield meeting house, with its Charity School, to be purchased as the site of the newly formed Academy of Philadelphia which opened in 1751, followed in 1755 with the College of Philadelphia, both the predecessors of the University of Pennsylvania.